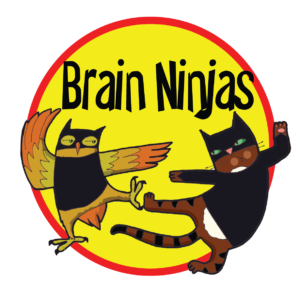 The ninjas are always thinking of new things to create and spending lots of time working on ideas and resources at home (yes, we know, after a full day of work we should be unplugging but we just can’t help it). One ninja has taken over the dining room table to work while the other has been struggling with setting up good office [Read more…] about Home Office Ideas? Ninjas are thrifty and we like to reuse as much as possible, so here are our top five ways to reuse your back to school gear and save some money at the same time. Repurpose your old borders and signs. You probably have some of those old borders or signs that are looking tattered or faded. Try cutting out the little pictures (or better yet have some older students volunteer their time) to reuse. We use these little pictures for all kinds of things: game pieces, name tags, labels and my personal favourite-classroom sign out.